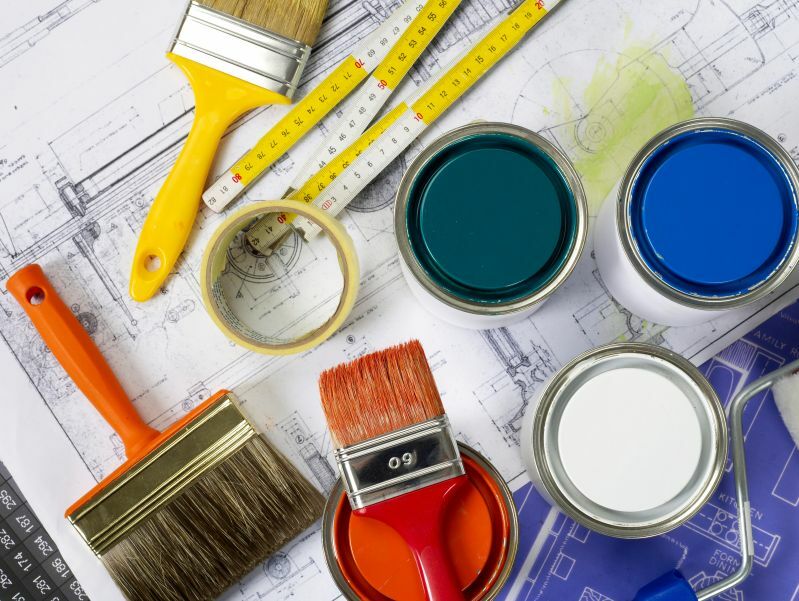 Renovating your home in readiness for a profitable sale can expose you to some major pitfalls. But with proper planning and advice you can avoid falling victim to the following renovation traps and achieve the best price for your property. Keep your renovation on time: this includes the order/delivery of materials and tradesperson tasks. Your property’s resale value will be directly impacted by the design and renovation choices you make. Your home needs to be renovated according to the demands of your target market from the outset. Do your homework and borrow renovation ideas from properties that have recently sold for a respectable price in your area. For this you can undertake online research, ask to view houses on your street or speak with prospective estate agents. Only opt for those features that will improve the marketability of your property- e.g. a large conservatory may not be to everyone’s liking. Focus your renovations on the most important value-adding areas of your home: the kitchen and bathrooms. Play it safe: there’s a lot to be said for neutral colour tones over bold statements. On Cutting corners to reduce renovation costs can lead to significant financial ramifications when it comes time to sell your property. You should have full building control approvals in place from your local council before commencing a renovation. You should also avoid cutting costs when it comes to work that will impact the structural integrity of your property. Illegal or ‘cheap’ practices such as unlicenced tradespeople, inferior products, fixtures, appliances or fittings will severely diminish the appeal of your property. Even the quality of tools that tradespeople use can lead to poor workmanship in your home. Allocate a specific budget for each room in your house. We’ve all seen pink feature walls or impressive marble columns and wondered if such features would work in our homes. Big statement pieces risk putting off potential buyers given they are less likely to envisage themselves living in your home. You can overcome this by applying the lessons learnt from other successful property sales elsewhere in your area to your own home. Local hardware stores, architects and interior designers can point you towards more popular home renovation options. Unless your property is in a spectacular locale or is making use of a unique space, opt for a conservative colour palate. Your aim should be to achieve the best value from your renovation, not to appear alongside Kevin McCloud on Grand Designs. Don’t invest in expensive items that may struggle to provide a return on your investment. Pricey fixtures, fittings and appliances may look great but they’re not always reflected in the final sale price. If that 1970s era shower and bath combo simply isn’t cutting the mustard, then it might be appealing to replace everything. However, upgrading your entire bathroom can turn out to be one of the costliest parts of your renovation. You should instead make use of what you’ve got and opt for new floorings and cabinetry instead. This is particularly the case for investment properties where you are unlikely to ever benefit from a fancy bathroom. In the United Kingdom, it is the kitchen area of your home as opposed to the bathroom that will form the centrepiece of your property. The kitchen has now become an important communal space where food is prepared, meals eaten, television watched, homework completed and parties held. For this reason it’s important that you focus upon the kitchen as a clear priority when renovating. So you’ve done your research and it appears that a three bedroom property is worth up to £20,000 more in your suburb. Great. The only problem is that renovating your property to accommodate another bedroom may cost significantly more than this – given architects fees, inspections and planning approvals. How can LocalAgentFinder help me? On LocalAgentFinder.co.uk homeowners request and compare information from leading estate agents in their area when deciding who should list their property. If you’re planning to renovate your home for sale then LocalAgentFinder allows you to view targeted proposals from estate agents detailing their sales strategy, commission rate and experience in your area. The LocalAgentFinder comparison process is 100% for homeowners in the UK.